PORTLAND, Ore. (March 10, 2016) – Portland, Ore.-based multigenerational housing community Bridge Meadows has received a $100,000 donation from Windermere Stellar, which will help to fund the nonprofit’s expansion in Beaverton, Ore. The new location, which comes at the invitation of the city’s mayor, Denny Doyle, will replicate Bridge Meadow’s three-generational community model in Portland. The development responds to the Beaverton-area’s critical demand for safe, affordable housing and permanency-focused alternatives to foster care. The Beaverton location will share a similar footprint to the original Bridge Meadows property in North Portland, and will feature an intergenerational community center and 41 total residential units, including nine family townhomes and 32 elder apartments. Currently in the pre-development phase, the Bridge Meadows Beaverton project has secured two acres at the intersection of Allen Blvd. and Menlo Dr. across from the Beaverton Christian Church. In addition to the Windermere Stellar donation, the organization has obtained public resources from the State of Oregon, City of Beaverton and Washington County, resulting in nearly $14 million raised to date. The total project cost will be $15,201,000. Bridge Meadows Beaverton will break ground in July of this year, opening its doors in April 2017. For high res images of plans for Bridge Meadows Beaverton, please visit: http://tinyurl.com/zko34mz. Locally owned and managed for 40 years, Windermere Stellar has offices in Portland, Vancouver, Lake Oswego, West Linn and the north Oregon coast. The company’s full-time real estate experts have the local knowledge, collaborative network and dedication to successfully guide buyers and sellers through complex real estate transactions. Brokers donate a portion of their commission from every transaction to the Windermere Foundation, which supports low-income children and families. To date, more than $2.8 million has been donated to over 153 local organizations. Localized real estate information can be found at: windermereportland.com (Portland metro), windermereoregoncoast.com (north Oregon coast) and windermerevancouver.com (Vancouver). 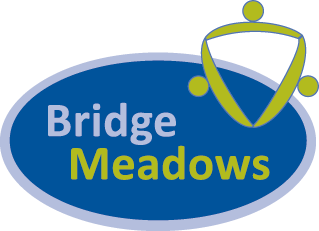 Bridge Meadows is a 501(c)(3) multi-generational housing community serving Oregon's foster youth, adoptive parents and elders (55+). Its mission is to offer permanency in the lives of foster children by providing forever homes, supporting adoptive parents with resources and giving elders purpose in their daily lives. The nonprofit has one existing location, which opened in April 2011 and can be found on the site of the former John Ball Elementary School in the Portsmouth neighborhood of North Portland. Bridge Meadows will expand to Beaverton in February 2017 and has plans to open additional locations in the future. For more information, please visit: www.bridgemeadows.org.